Protein Shakes – Why Use Protein Shakes? Because of hectic schedules it is impossible to eat the six perfectly balanced daily meals required to get in shape. Protein shakes can be used as “fast foods”. They are easy to prepare (if it is a protein bar then no preparation is required) and most of the formulas that are available on the market today taste good. Having said that, there are many categories of protein supplements. Before we cover the different categories of protein supplements and how to use them, let’s talk about the different sources of protein found in these supplements. There are many sources of protein from which protein powders or bars can be made. Protein quality is measured by Biological Value (BV). BV is a value that measures how well the body can absorb and utilize a protein based on nitrogen retention. The higher the Biological Value of the protein you use, the more nitrogen your body can absorb, use, and retain. As a result, proteins with the highest BV promote the most lean muscle gains. Whey protein has the highest BV value, rating at 104. Egg protein is only second to whey rating as a 100 with milk proteins being a close third rating as 91. Beef rates as an 80 with soy proteins a distant 74. Bean proteins, due to the fact that are plant-based proteins, only rate a 49. Now that we have discussed BV values, let’s discuss each protein source in more detail. i) It improves sports performance because it reduces stress and lowers cortisol levels (hormone that destroys muscle). ii) Improved immunity by increasing glutathione, which is a water soluble antioxidant found in the body. iv) Can help fight HIV. v) Helps reduce overtraining (which is linked also to low levels of GSH). In addition, there are whey isolates and whey concentrates. Whey isolates are sub-fractions of whey that are absorbed much more rapidly into the system. This is a good thing for post workout nutrition as at this time the body is in dire need of amino acids. However, whey isolate makes a poor choice for supplementation at other parts of the day, as if the body does not have a need for all of the amino acids that are released into the bloodstream, it will use them for energy production as opposed to muscle building. However, in the muscle building department, I don’t feel that soy is very useful on its own since it is an incomplete protein and its BV value is a distant 49. It is high in branched chain amino acids however so if combined in small quantities with a complete and more bioavailable protein one can benefit from its high BCAA content. Now that we have covered the various proteins used in protein supplements, let’s discuss the different types of protein supplements on the market. Weight gainers are protein shakes with a high calorie base in the form of carbs along with 30-40 grams of protein for the majority of the products in the market. The protein sources of these products can consist of whey proteins (mostly concentrate with some isolate as well) and/or other protein sources such as milk proteins and egg. These products are characterized by their extremely high carbohydrate content; typically in the form of maltodextrin (a high glycemic complex carb) and fructose (simple sugar originating from fruits). 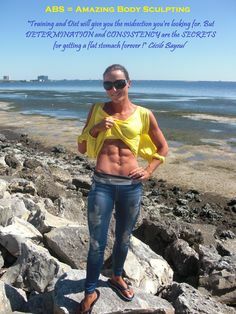 Weight gainers were very popular back in the 90s but their popularity has died mainly because most people do not have the fast metabolism of a hardgainer; so as a result, a high carbohydrate diet applied on a person with over 10% body fat typically leads mostly to fat gains instead of muscle mass gains. 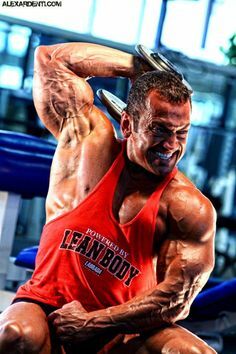 For hardgainers however, and bodybuilders who are below 10% body fat, these products be very useful for getting in the amount of quality calories required to gain quality muscle. My favorite weight gainers on the market right now is the Labrada Nutrition Lean Body Mass 60 due to the fact that it has 60 grams of a nice blend of 6 high quality proteins and 77 grams of carbohydrates of which 5 are from fiber! In addition this is one of the very few weight gainers on the market that is super low in sugar (just 5 grams) and in addition it has a full 5 grams of creatine. To top it off, it does not get you bloated as it is 98% lactose free, 96% fat free, and contains no aspartame, sucrose or fructose. I personally use half a serving before and after the workout when on a mass gaining phase. Protein-wise, most are composed of whey proteins but there are many new formulas now on the market that consist of a protein blend of whey and milk proteins. Typically, the carbohydrate component used to be maltodextrin, yielding around 25-27 grams of carbohydrate per serving, but the newer generation formulas consist of slower released carbohydrates like brown rice and oats in order to make the product lower glycemic in nature. Any of these products can be used throughout the day in between meals or after the workout. Protein powders are just powders that consist mainly of protein (typically whey protein is what is sold these days but you can also find blends). Typically, they contain no more than 5 grams of carbohydrates per scoop and 20-25 grams of protein (per scoop). Calorie wise they consist of anywhere from 100-125 calories. Whey concentrate powders and isolates are best for after the workout as they are released extremely quickly into the blood stream. I love protein supplements because of the many uses that they have. For instance, in the morning I like to have oatmeal with strawberry or banana flavored protein powder. One can also use them to add more protein to either a meal replacement powder or a weight gainer. Alternatively, one can also use them for creating a home-made weight gain formula. These are bars made out of any of the protein sources listed above. The carbohydrate mix is usually a combination of glycerin (which is not really a carbohydrate but a sugar alcohol) and some sugars. They are low in calories compared to a weight gain shake and you have to be careful with the brand chosen as some contain less than desirable fats and too much sugars. 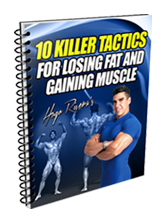 If trying to lose fat, then limit their use to once per day at the most. Ready-to-Drink protein shakes are the latest protein supplements in the market. They are characterized by a high protein content (most are blended proteins) with some essential fats and low carbs. Many have an array of vitamins and minerals as well. RTD protein shakes are highly convenient for people who are on the go and don’t even have time to mix a shake. My all time favorite RTD is the Lean Body RTD for its high quality protein content (40 grams), high fiber content (5 grams), and most importantly the fact that they are zero sugar/zero lactose. On top of that, they simply taste amazing! I would have never imagined back in 1990 that a protein shake would ever taste like this. When it comes to beef liver tablets the best ones in the market, in my opinion, are Beverly International’s Ultra 40 because they contain the highest grade of beef liver and have been purified and processed to contain forty-five times the nutritional amount of whole beef liver providing heme iron (good for blood building), B vitamins, and the lipotropics choline and inositol. It’s also a good source of vitamins A, C, and D and other micro-nutrients and minerals such as the anti oxidant selenium, phosphorous, copper, zinc, and GTF chromium (which helps to regulate insulin levels). Which Protein Supplement to Use – Weight Gainer, MRP, Protein Powder, Protein Bar or RTD? So now, which protein product should you choose? If trying to gain weight then a weight gainer for sure or protein bars (especially the higher ones in calories). If you are looking to have a full meal consisting of carbs, proteins and some fats and staying lean is one of your fitness goals, then an MRP is your best bet. 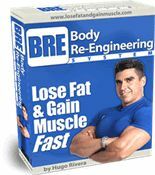 If on a budget then the best way to go is to buy a 5-lb tub of blended protein powder which based on how you mix it can be used for weight gain or muscle building while losing fat. If your schedule is really hectic then an RTD protein shake is your best bet. Of course, you can also mix and match these different protein supplements based on what your schedule looks like on a specific day and what your goals are. For example, some days if I am doing higher carbs I may use a Mass 60 to make it easier for me to get all of my nutrition. If I am on a lower carb day then I would use a ProV60 instead, or an RTD, depending on how hectic my day is. 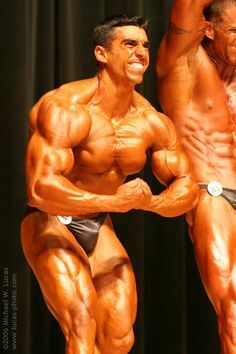 I hope that this article has educated you on the different protein supplements that are available to help you with your bodybuilding and fitness endeavors. Keep in mind that protein supplements are just that; supplements to an already healthy and good diet based on the intake of whole foods. Do not make the mistake of thinking that protein supplements are better than food because they are not. Real food should always be the base of any good bodybuilding and fitness diet plan. Hi very in depth article. Hemp protein seems to be growing in popularity now too! Nice conclusion and I agree: supplements are there to supplement an already (hopefully) healthy diet and exercise routine. Nice post, keep em coming!